I can’t believe it’s actually come down to the tying runs on base with two out in the bottom of the ninth! That podcast I did of the early innings is gone forever, I think, as that site I used changed their whole format. I’ll have to do a new one of the entire game once it finishes. But that could be a while, as I smell extra innings…. I envision Joe Nolan’s fly out as one of those towering fly balls that brings the crowd to its feet in anticipation of a frenzied celebration — only to be caught at the back of the warning track by a relieved outfielder. Are you sure the runners didn’t advance to 2nd and 3rd on that long fly ball, Josh? The Braves acquired him from The Mets for the recently profiled Leo Foster. That’s a fair point, dbrazeal. It’d be big if the tying run got to second. Then again, I think it’s relatively rare for a runner to advance from first to second on a flyout, even a deep one, especially if the runner would be risking making the last out of the game on the basepaths. I can be swayed either way on that point if anyone else wants to chime in. 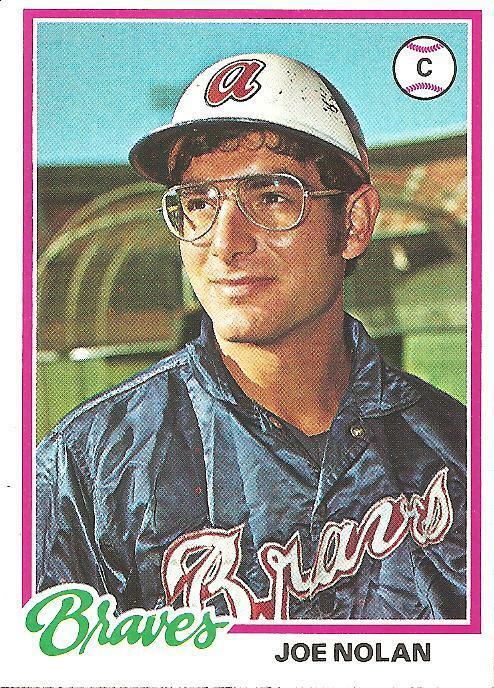 If the back of Buzz Capra’s card reads, “Has blazing speed,” or even, “Is not too slow, for a pitcher,” I say you let him advance.